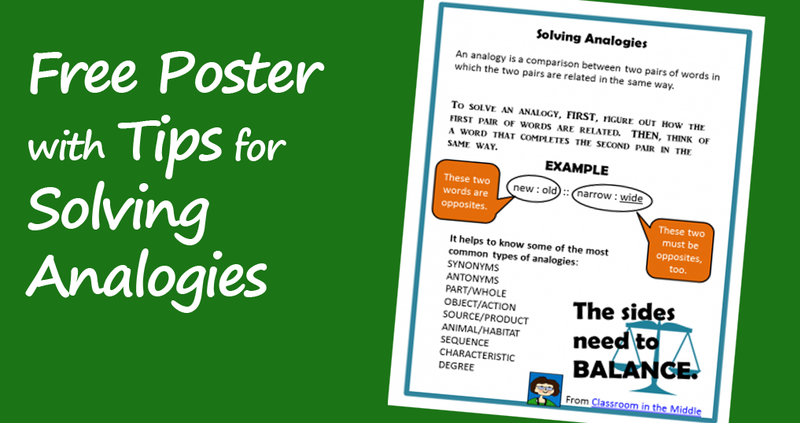 Here’s a free mini-poster that I thought some of you might find useful. It’s an anchor chart all about how to solve analogies with an example that shows how the two sides of an analogy must match and a list of some common types of analogies to look out for. 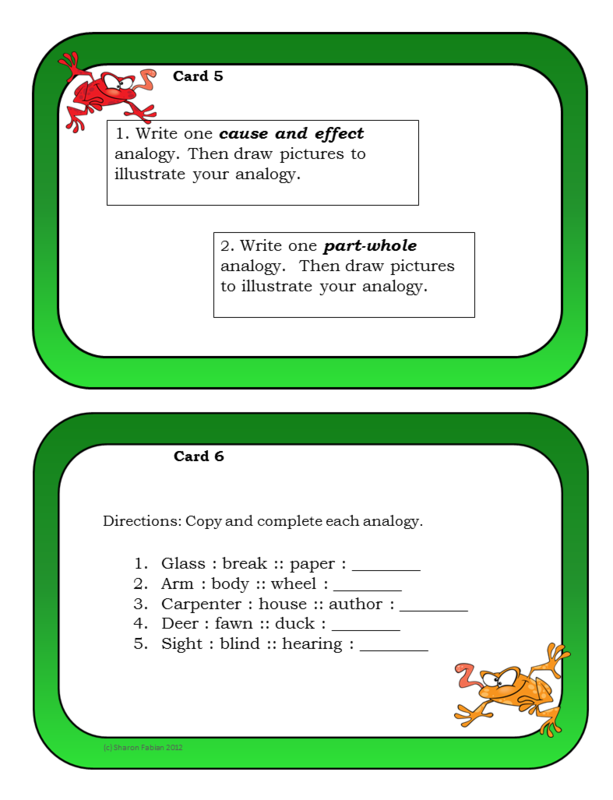 Post it on a classroom wall for a handy reference or print out this page-size poster for students to keep in their notebooks. 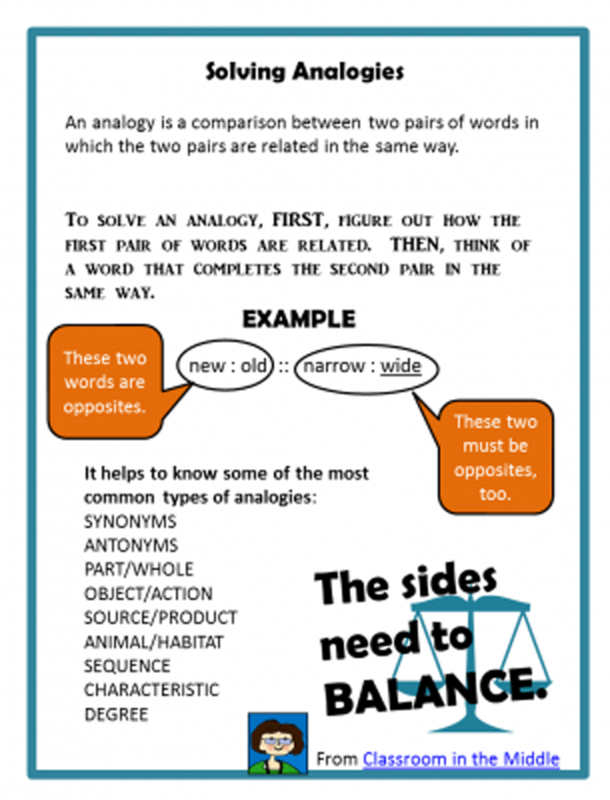 You can download it here: Solving-Analogies. 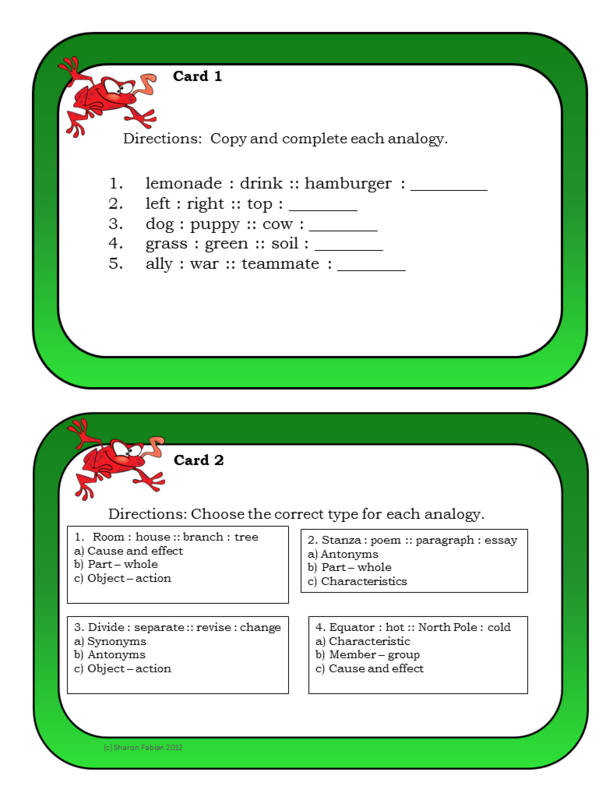 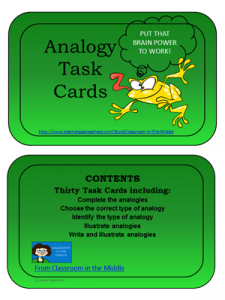 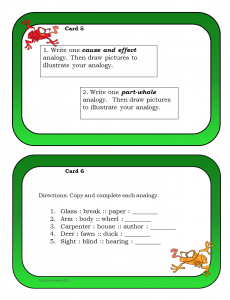 If you could use some analogy resources to use with your classes, check out these Analogy Task Cards and other options including PowerPoints with student activities and worksheets in the Vocabulary Section at Classroom in the Middle.